Many milk naysayers are actually opposed to the way milk is produced and processed, rather than the milk itself. One cup (8 ounces) of whole milk provides 276 milligrams of calcium, 7.7 grams of protein, and 4.5 grams of saturated fat for 149 calories. 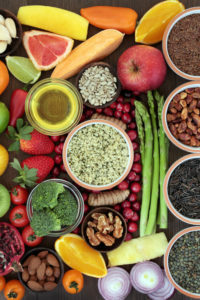 It also contains 322 milligrams of potassium, 205 milligrams of phosphorus, 24 milligrams of magnesium, and 0.9 milligrams of zinc, 395 International Units (IU) of vitamin A. And, you’ll find trace amounts of six B vitamins, including folate and B12, in milk. Some people claim that processed, pasteurized milk causes lactose intolerance (the inability to digest lactose, a natural sugar found in milk) and advise drinking raw, unpasteurized milk instead. 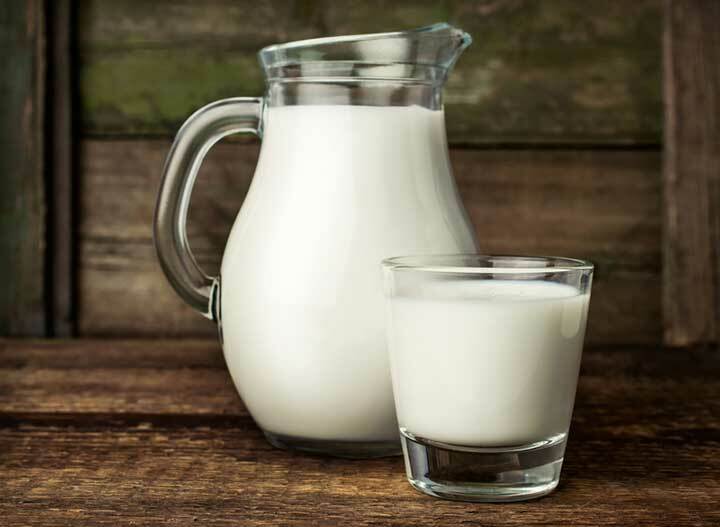 However, the U.S. Food and Drug Administration (FDA) advises against consuming raw milk, since it may be contaminated with bacteria or other potentially harmful organisms, which are destroyed during the pasteurization process. allergy, amino acids, antibiotics, b vitamins, b12, bacteria, bad cholesterol, bad cholesterol levels, blood pressure, bone, calcium, calories, cardiovascular, cardiovascular disease, cholesterol, cholesterol levels, complete protein, dairy, dairy free diet, diet, dietary guidelines, dietary guidelines for americans, digestive, e coli, essential amino acids, folate, food, food safety, glucose, health, immune system, infection, lactose intolerance, ldl, magnesium, milk, milk allergy, muscle, natural sugar, nine essential amino acids, nutrients, nutrition, nutrition facts, organic, organic milk vs regular milk, pesticides, potassium, protein, skin, strong bones, sugar, supplement, virus, vitamin, vitamin a, vitamins, worst drinks, your bones, zinc. Maybe the homogenization process in whole milk is what causes the change to a bad fat, and not the cream itself. If your ancestors come from Northern European stock, you will enjoy drinking milk as you are able to digest it well, and you will benefit from the nutritional content. However, if your ancestry is African, Asian, Native American Indian, or Hispanic (maybe); then milk would not be your choice of beverage and you might even be lactose intolerant. Many school children suffer through lunches because milk is routinely offered due to the program set up by the USDA to include milk in the public school school lunch program. This was done back in the 1930’s so as to guarantee farmers a solid way to sell their milk. Also, if you can get children in the habit of drinking milk, then you have customers for life. And then there is the issue of raw milk. Some people prefer to drink raw milk because they feel it is healthier to do so. Currently, there are multiple regulations in place on the federal, state, and local levels that almost eliminates the ability of the average person to easily obtain raw milk. Many of these regulations go back to a time when brewers kept a herd of cows on the side and sold milk that was processed in unsanitary conditions. Of course, times have changed and farmers now follow strict practices to maintain the high quality of the milk but these regulations are still in place. Many people have to “buy” a share of a cow just to obtain their weekly gallon of raw milk. So these are some major issues. Some people like to drink milk and others prefer not to (or can’t) drink it. Those who do like milk may prefer not to have it pasteurized or homogenized and have to go to great lengths to get raw milk. I heard Dr. John Mcdougall say years ago that cows’ milk is a cause of Type 1 Diabetes for those with this sensitivity. Anything on that? Milk is no worse than any other food. If not handled properly, yes it can cause problems, but no worse than many other foods, chicken for example. This is no reason to require pasteurization which kills many of the nutrients in milk. This horrible requirement was simply to increase the shelf life of milk. I grew up in a rural area drinking raw milk all my life and everybody I knew did the same and I NEVER heard of ANYBODY getting sick from milk. High heat destroys nutrients in many foods and milk is no exception. Milk is healthy for babies of the species of mammals the milk comes from. Milk is naturally full of (natural) growth hormones which stimulate the rapid growth of the newborn. Many autoimmune doctors think that milk other than mother’s milk for newborns is inflammatory. … the growth stimulation of natural hormones contained in milk also applies to adults drinking milk. I’m surprised to not see listed in this discussion the decided “con” to milk of the terrible abuse and slaughter of animals in the process of making milk. First, the artificial impregnation of female cows, whose lives are drained out prematurely into those cartons of milk then thrown into the slaughter, the immediate removal of male calves who are either slaughtered at birth or put into veal crates, and the recurring process of it, year after year, decade over decade. 70-80 billion animals abused and slaughtered each year for the sake of our bellies, our reluctance to endure the inconvenience of acclimating our palates to plant-based alternatives that can provide these nutrients. This entire article appears to address only milk from cows. There are other alternatives. A very good article on the benefits of milk. It is my opinion that milk is very healthy……mostly for babies. Just look in nature. Calves get weaned by mother cow. The same is true for all animals…..they are weaned around age 1 or so. So drinking milk daily for anyone other than BABIES is open for debate. I happen to be “allergic” to milk and most dairy. Not a serious allergy, but causes lots of subtle problems….like nasal stuffiness, indigestion, and lots of mucus production. I stopped all dairy about 3 months ago and all these problems disappeared. I am age 78 and in very good health…..and now I feel so much better and lost some pounds. My big choice was all types of cheese, mostly for snacking. I substituted red kidney beans….very healthy with lots of fiber. So instead of putting on FAT, I am getting loaded up on PROTEIN. Getting stronger by the day. So that is my opinion on MILK, CHEESE, AND DAIRY!!! I thought you might be interested in this article on https://universityhealthnews.com: Is Milk Healthy?